So recently I was digging out holes for fence posts with my mother. She pulled out a chunk of dirt and layed it gently on the ground so I could examine the dirt for any ants or queens. Well low and behold, one of them has a whole colony inside! I desperately picked up the ants that I could with a cotton ball. I wasn’t able to get any brood, but I did manage to find the queen, 10 majors, and around 7 minor workers. I put them all in a plastic container, and that seemed to contain them. Interestingly, they could climb the plastic, but they never tried to get out of it. At this point, I was rushing back to my house so that I could get them into a test tube. I decided their was too much risk of injury to the ants if I forcefully put them into a test tube, so I simply put the test tube in the little container. I also attempted (and succeeded) in containing the ants with a petroleum jelly/Vaseline barrier. 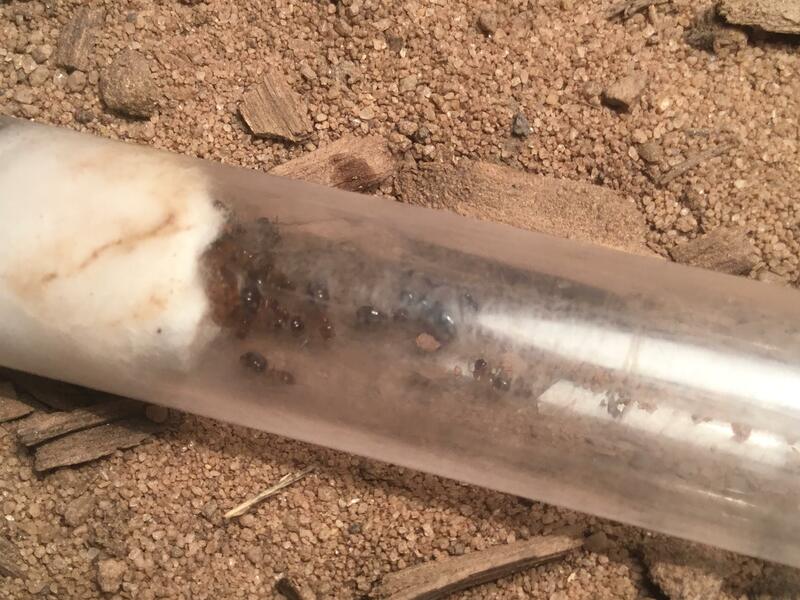 One hour later, the ants had found and moved into the test tube. I checked to see if there were any any ants in the container , and when I saw that there were none, I just sealed the test tube. 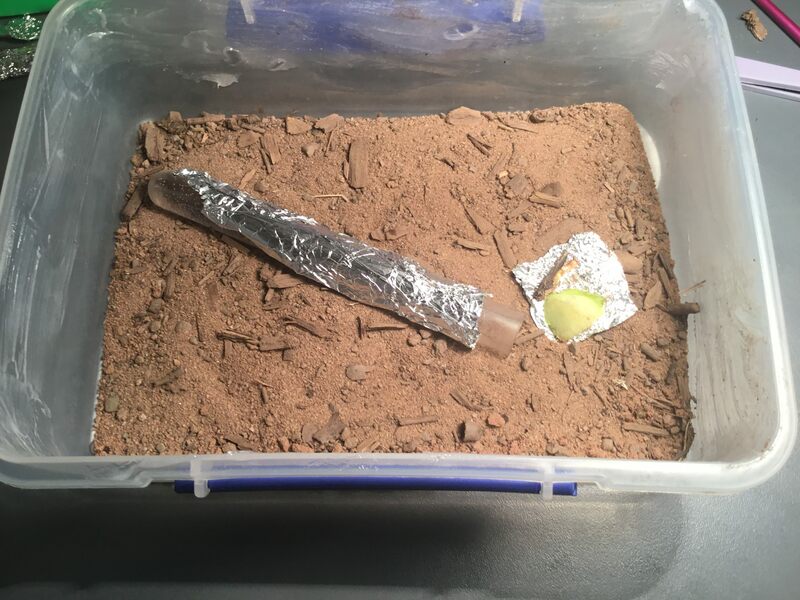 I decided that I would use the container as an outworld, so I just put more dirt in, flattened it out, put the test tube back in, and had them in a proper setup! Now I had time to admire them. I had never really looked closely but they had so many different castes! There actually looked like their was two different species in there! I have done some surfing on the web, and have identified them as Melophorus sp. Now before I go, here are some pictures! Sorry for the low quality of the picture of the colony, I will try to get a better one next update!